It's time to throw a party! Celebrate a beloved family member's birthday, haunt the neighborhood with show-stopping Halloween costumes, cheer on your team to victory, or plan the perfect bash for your favorite holiday. 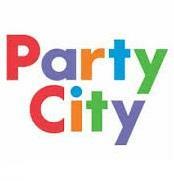 Whatever your reason to party is, Party City offers supplies for every season, theme and occasion at a price you can afford.